Finland’s adorably huggable Moomins first appeared in a comic strip by the late illustrator and writer Tove Jansson way back in the 1940s. This new movie version, voiced in English by the likes of Russell Tovey, honours the charm of Jansson’s drawings and the TV series that made her endearing white hippo-trolls world-famous in the 1970s. 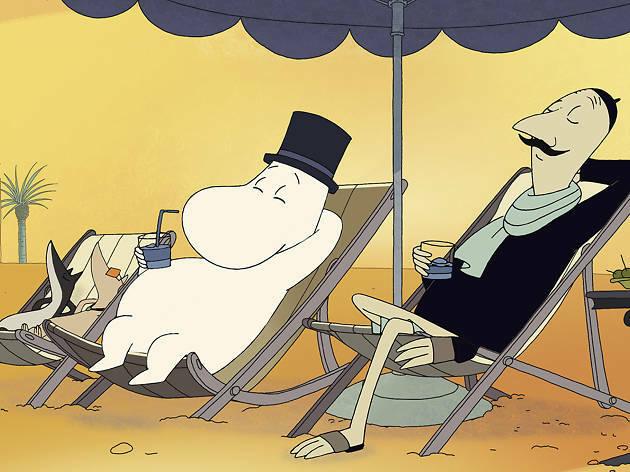 ‘Moomins on the Riviera’ sees Moomin and his parents, along with Snorkmaiden and Little My, head to the south of France in search of adventure. 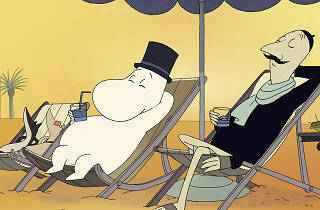 But their Nordic naivety rubs up against the chic world of the Côte d’Azur. Snorkmaiden falls for a creepy lothario and is seduced by what she call ‘l’elegance’, while Moominpappa strikes up a friendship with a louche aristocratic artist, leaving Moominmamma bewildered by all this glitz and glamour, and surprised when their luxury hotel (where they’re known as ‘Les Moomins’) expects them to pay the bill. This is a simple, sweet tale about the basic pleasures of home and hearth, rendered unflashily in a delightful style of hand-drawn animation that employs a beautiful array of warm pastel colours. A lovely antidote to more souped-up modern animation.